Return coach tickets for the Dunwich Dynamo, the annual overnight bike ride from London to the lost medieval city of Dunwich on the Suffolk coast, are now on sale from organisers Southwark Cyclists. This year sees the 27th edition of the Dunwich Dynamo take place under a full moon on the night of Saturday 13th July. The "Dun Run" has attracted a cult following over the years. In 2016 around 2,000 cyclists made the 200km trek from a Hackney pub to the shingle beach in Dunwich, and the ride continues to grow in popularity. 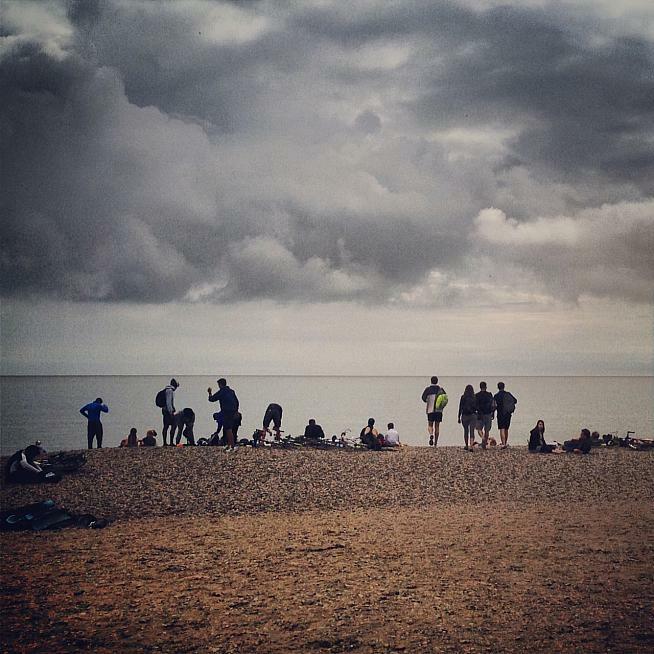 The Dunwich Dynamo is a hugely popular overnight ride held each summer from London to Dunwich on the Suffolk coast. 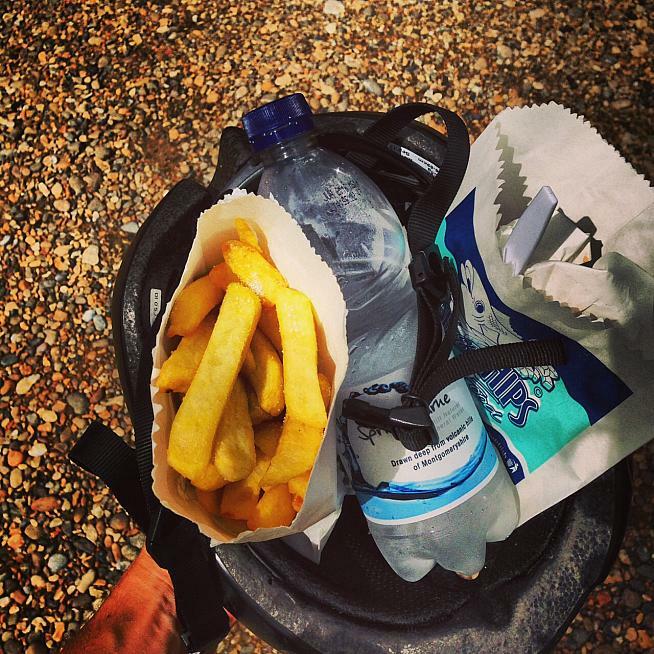 The Dunwich Dynamo is not a sportive but rather a rolling social event: maps are available at the start, but don't expect timing chips or energy gels. Some residents along the route provide pop-up catering, and plenty of riders make use of late-opening pubs, but there are no longer any official catering stops. The route is fairly flat and many turns are signposted, although if you leave with the main bunch you'll be able to follow red lights all the way to the sea. When you finally reach the beach, many cyclists take the chance for a dip or at least a nap on the shingle. It's probably the biggest day of the year for the Flora Tearooms cafe on the beach; if you haven't eaten chips out of a salty helmet you haven't lived! 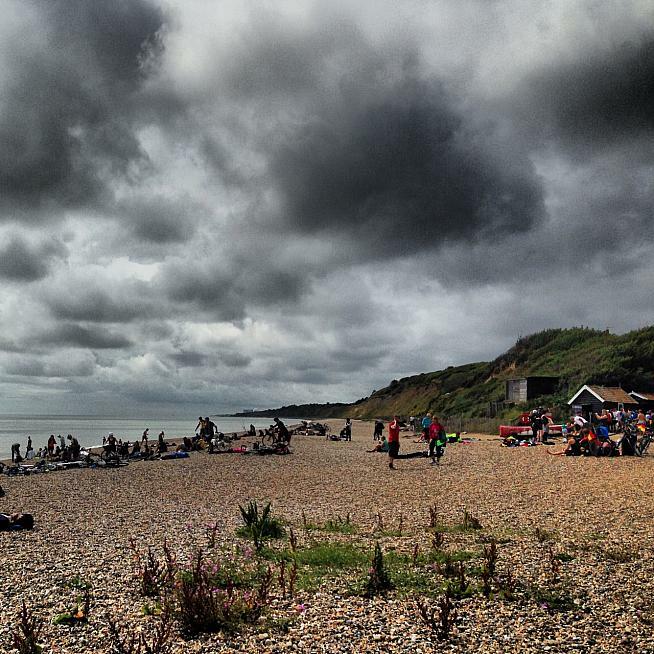 Beach life: riders enjoy a rest on the shingle after cycling overnight from London. What about getting home again? Local train services aren't very bike-friendly, but each year since 1999 Southwark Cyclists have organised coaches back to London from the beach. Tickets for the 2019 coaches are now on sale, with an early-bird price of £25.99. That includes a seat on the coach for you, and a place on the back of a removals van for your bike. Coaches leave throughout the morning but there are a limited number of places available. When the early-bird tickets sell out, 250 places will be released at £45.99. It's definitely worth booking early as tickets always sell out (and if you later change your mind, you can get a refund less 5%). For more info on the Dunwich Dynamo and to book your coach ticket, visit www.southwarkcyclists.org.uk. There's also a lively Facebook group for the Dynamo, which is the place to go for advice, tips and discussion ahead of the ride: www.facebook.com/groups/DunwichDynamo. Who says cycle helmets serve no purpose? Just don't try using your forks as a fork.